Don’t worry, says the administration, tax credits will ensure that beneficiaries pay only a fraction of their premiums. It is true that very few people would buy Obamacare plans without the tax credits, the administration cheers. In reality, however, that is not a sign the plans are “affordable”; it’s only a sign that taxpayers are bearing more of the burden. When the Affordable Care Act was passed in 2010, the Congressional Budget Office estimated that 23 million people would get coverage from the exchanges in 2017, subsidized by $75 billion of tax credits. That’s an average tax credit of about $3,260 per person (including those who receive no tax credit). In 2016, the average tax credit (for the 85 percent of enrollees who receive tax credits) was $3,480, but that was still not large enough to prevent almost half the eligible people from signing up. The Obama administration now expects fewer than 14 million people to enroll in Obamacare plans next year. Recall that this is the total number of people who sign up during the year. The number who actually stay in an Obamacare plan for the full year is much less – about four million. The tax credits do not actually prevent people from sticker shock. In fact, the design of the tax credits usually makes the net premium hike higher than the gross premium hike. For example, the average premium hike next year in California will be 13.2 percent, but a 56-year old woman in Los Angeles just learned her premium will jump 57 percent next year. Further, the administration’s estimates assume every single applicant will “shop around” and switch Obamacare plans if the one they had in 2016 is no longer the least expensive. However, that is not what happens. The “shopping” is so confusing, fewer than half of beneficiaries switched plans in 2015 and 2016. There is no reason to expect that share to grow. Further, the administration has announced that those who lose their plans because their insurer is bailing out of the exchange will have a special enrollment period extending to March, instead of the previously announced end of January. 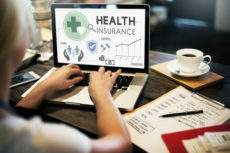 This extension will exacerbate the problem of adverse selection, whereby applicants wait until they need medical care to enroll, accelerating Obamacare’s death spiral.